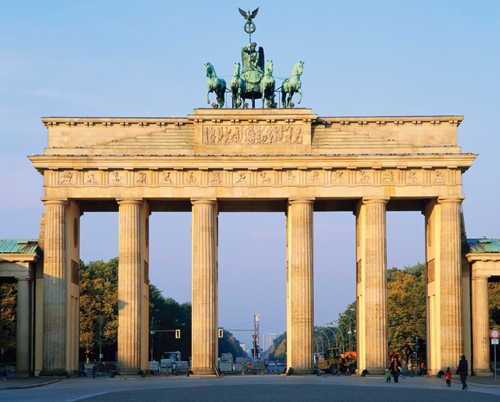 More than a mere symbol, the Brandenburg Gate is synonymous with Berlin . 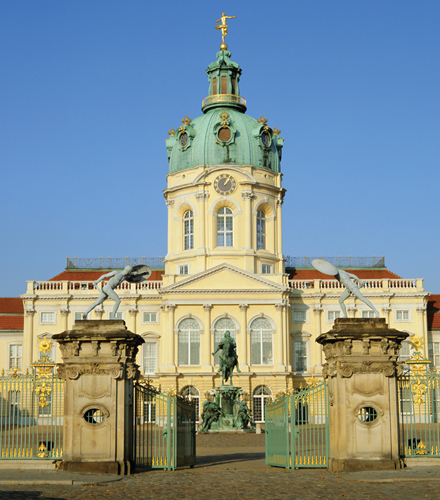 This palace boasts Baroque and Rococo splendours and a beautiful park, making it one of the most attractive in Germany . Built according to plans by Philipp Daniel Boumann in 1785–90, this palace was the residence of the Hohenzollerns until 1861. Since 1994 the stately building with its Neo-Classical façade has been the official residence of the President of the Federal Republic. The modern, egg-shaped Presidential Offices stand immediately next to the old palace. The seat of the Deutscher Bundestag, the German parliament, with its spectacular cupola, is a magnet for visitors . 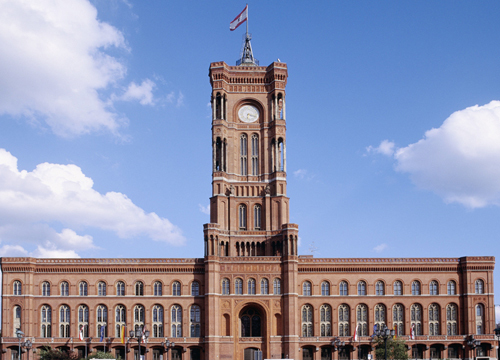 Berlin’s Town Hall, also known as “Red Town Hall” because of the red bricks from Brandenburg Province with which it is built, harks back to the proud days when Berlin became the capital of the new Empire. Built in 1861–9 according to designs by Hermann Friedrich Waesemann, the town hall was one of Germany’s largest and most magnificent buildings, built to promote the splendour of Berlin. The structure was modelled on Italian Renaissance palaces, and the tower is reminiscent of Laon cathedral in France. The exterior was decorated with Die Steinerne Chronik (the stone chronicle) in 1879, depicting scenes from the city’s history . 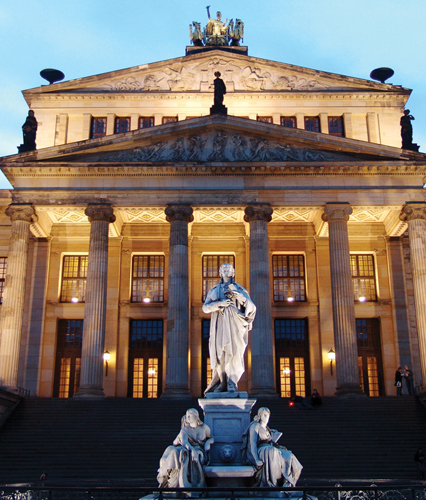 The Concert Hall, one of Karl Friedrich Schinkel’s masterpieces, was until recently known as Schauspielhaus (theatre). The building has a portico with Ionic columns, and a large number of statues of allegorical and historical personages, some riding lions and panthers, as well as deities, muses and bacchants. 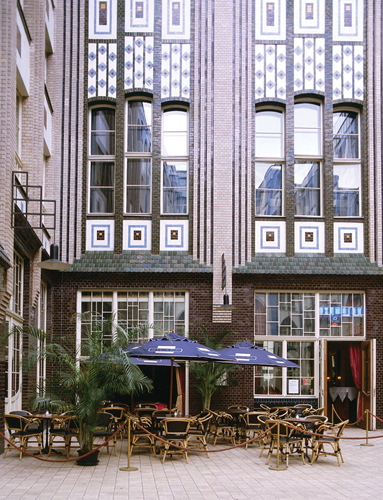 This complex of 19th-century warehouses consists of nine interlinked courtyards, some of which are decorated in Art-Nouveau style, originally by August Endell. In the early 1990s the complex was completely renovated. The first courtyard is particularly attractive: coloured glazed tiles with geometric patterns decorate the house from the foundations up to the guttering. In the last courtyard, trees are grouped around an idyllic well. 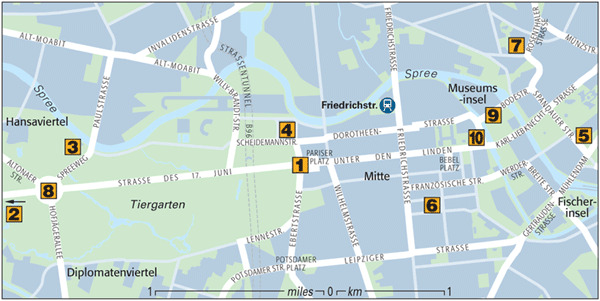 The Hackesche Höfe is one of Berlin’s most popular hotspots; restaurants, cafés, a cinema and the Chamäleon variety show attract visitors from afar. 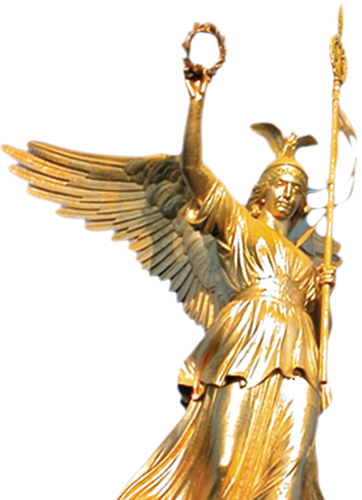 The Victory Column in Tiergarten, 62 m (203 ft) high, decorated with the statue of Victoria. Refurbishment starts 2010 . 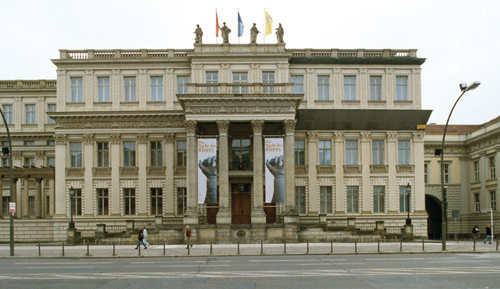 The façade of the Old Museum, possibly one of the most attractive Neo-Classical museums in Europe, is remarkable for the shiny red marble used in its construction, which is visible behind 18 Ionic columns. Built in 1830 according to plans by Karl Friedrich Schinkel, it was at the time one of the first buildings to be created specifically as a museum. Originally it was to house the royal collection of paintings; today it is home to a collection of antiquities and the Egyptian Museum. In front of the museum, on Museumsinsel, are the gardens designed by Peter Joseph Lenné. Conceived as the king’s herb garden, it is today decorated with a granite bowl by Gottlieb Christian Cantian, weighing 70 tons. Designed by J A Nering as the first Berlin Baroque building, the former Royal Prussian Arsenal is now the Deutsches Historisches Museum, with a modern addition by I M Pei.